McKeown Group and its two operating divisions, McKeown Petroleum and McKeown Chemicals, is a company we are proud of and some would say a true Kiwi success story. 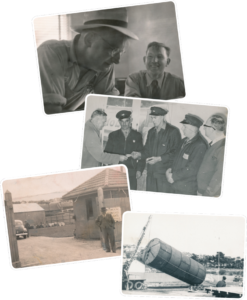 Founded in Oamaru in 1966 by Bill McKeown and driver Bill Graham as McKeown & Graham Limited, the company supplies a large portion of the South Island with bulk fuel, McKeown Card, lubricants, commercial cleaning products and associated products. Bill McKeown was a terminal manager for one of the major fuel companies and was asked to take the business on as an agency to deliver fuel to the farming community and small commercial accounts, as well as on-selling lubricants in the area. Bill’s son, Ken McKeown at the age of 23, took over the running of the business in the mid 1970’s after his father’s untimely death, and he is still the managing director today. 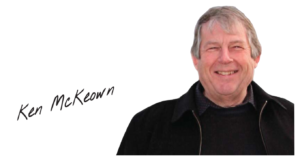 Deregulation of the industry in 1987 provided McKeown Petroleum with many opportunities, including a chance to develop their own network of retail sites, of which we now have 8, South Island wide, and McKeown’s are continually expanding. McKeown’s now have operations based in Christchurch, Timaru, Oamaru, Dunedin & Gore, running a modern fleet of Scania truck and trailer units as well as a field fleet for lubricants and chemicals. In 2009 McKeowns launched their own network of McKeown branded ‘CardFuel/ 24/7 unmanned sites to enhance the network offer for their McKeown Card customers as well as members of the public wishing to use their EftPos and credit cards on a 24/7 self serve basis. McKeown’s have positioned themselves extremely well to take on board the ever increasing volume of retail and commercial opportunities being displaced by the ‘majors’. With McKeown’s time proven platform of continuing to do the basics well – service, relationship, competitive price and reliability, we are being seen as a company that will not only survive, but continue to grow in an extremely competitive environment. It is also testament to the guiding principles of Ken McKeown, his management team and the invaluable support of the staff that despite the continued growth, the McKeown Group has never lost a steadfast support of their long standing loyal customers. It is because of this reputation, acieved through hard work and attention to getting the basics right that McKeown’s can be confident in welcoming new customers to our team.